This coin was sent to me as a gift last week, and I reckon it fits in here nicely. 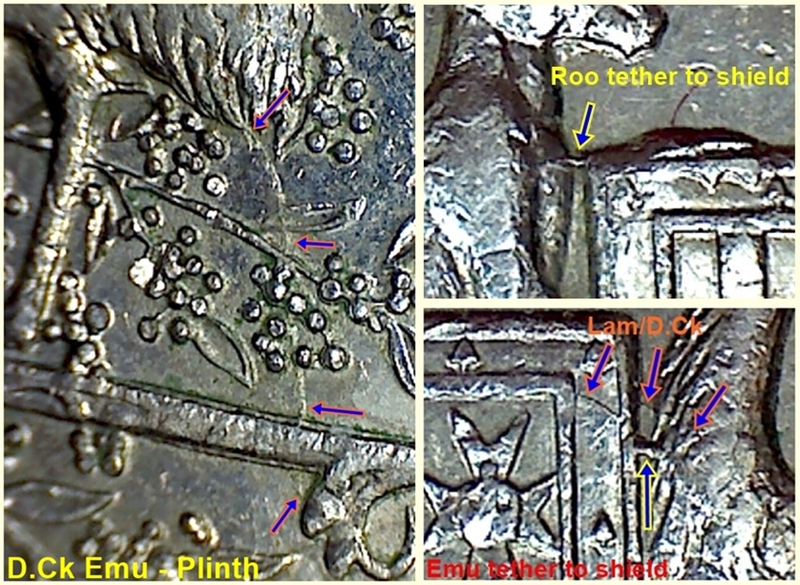 Aust 50c 2001 CoF Rev D.Ck, Tethers, Lam. It's like they've each got an umbilical cord with an added bonus of a lam/D.Ck on the Emu side. If it's a D.Ck there should be more of them to be found, so I'll see if I can find some. 12:27 Pm: OK, found 4 more with it so it's definitely a D.Ck and it seems that it only occurs on coins that also have the D.Ck from the Emu's rump to the plinth. Current time: 26-04-2019, 12:58 AM Powered By MyBB, © 2002-2019 MyBB Group.